How to travel as a couple…and survive and thrive! Travelling as a couple can be a wonderful experience. I know that when I headed off last year for my first solo trip I missed the other renegade like mad…who knew I was so fond of him!! When you are both on the same page being a travel couple means sharing all those amazing experiences with your best friend, never being lonely and by both bringing different but complementing perspectives so you can make the ultimate travel team!! But, sometimes travelling with your other half can be the make or break of your relationship! After being together for 13 years and visiting 29 countries together here are our observations and tips!! A lack of honesty is toxic to any relationship, even if it is hard you have to have no secrets and let that other person know all there is to know about you. If you have a burning desire to travel the world or to a specific country and they don’t, it needs to be talked about instead of being ignored. Let each other in and you are more likely to be able to give the other person, and yourself, the life you both want. Following on from being honest is to learn how to compromise…but also where to draw the line. Once you have told each other your dreams, desires and hopes you need to find a way for you both to achieve them. Being a couple means thinking for you both and not just yourself, it can be a wonderful experience to open yourself up to things you never imagined you would do because you compromised. At the same time you have to learn not to compromise so much that you loose sight of what you want too. You have to make sure the compromise is equal otherwise resentment creeps in and someone is left unhappy. Ok, so not every couple is like this and they often say that opposite attract, but us two are like two peas in a pod, people say that we were made for each other! We often wonder how people with such different interests, hobbies and passions make a relationship work! For us we were brought together over a shared love of skateboarding and rock music. We share everything and in reality it is only the small things we ever need to compromise on. Finding someone who is on your level, your kind of weird and shares the same passions you do makes creating a life around those passions so much easier! Non of this asking permission to go climbing at weekend…we are at that crag together and no one is feeling left out! Part of a healthy relationship is to be able to spend time on your own too and give each other space. Maybe that means allowing each other and yourself to take a solo trip once in a while, or a trip with friends. To have a walk by yourself even just to clear your thoughts. Travelling with the same person and seeing them 24hrs a day is intense and sometimes that closeness can also bring with it bickering! The trick of the matter is not to think that spending time apart means your relationship isn’t working or to be paranoid about the other person. But to see it as a healthy way to refresh your thoughts and be yourself! This is something that we try hard not to fall into and it can be the same for travelling friends too as well as if you start a new job or course alongside someone you already know! Familiarity is like a comfort blanket and even if you are the type of people who like to push yourselves outside your comfort zone this one is easily over looked. Sometimes when you travel with a partner you become insular and stop yourselves from interacting so much with the people that surround you whether that be locals or fellow travellers. Sure you want to share everything with each other but don’t become blinded by it, becoming part of a wider circle of travellers or spending time with locals is such a rewarding thing to do. It also allows you that extra space to spend time with other people than just yourselves, to widen your perspective and get other opinions too! Travelling together can be a baptism of fire and can go either way! Spending so much time together in cramped conditions, sweltering heat and stressful situations will test the best of us! Knowing what your partner is like in certain situations is a good thing to discover before you go…not when you get stuck at customs and they turn into a wailing banshee! Get to know them properly before setting off together, you don’t want the trip of a lifetime ruined by having to put up with a prima donna you met 2 weeks ago in a bar! Equally travelling together is all about trust and being able to rely on each other, make sure the person you choose isn’t going to drop you in the middle of nowhere for a better offer! Before you go packing your backpacks up and buying that round the world ticket together a good idea is to take some shorter trips together to figure out how you both travel. Stay in hostels, camp out, go hiking and put it all to the test. Do you feel like you both want to go and do the same things, both want to wander around that gallery or hang off that cliff…or are you dragging them around whilst they look bored out of their brains or are you spending the trip fed up wishing you could do more? This is a good way to learn each others travel style and travel interests so you can work out if you complement each other or want completely different things! With that in mind you should also again be honest with each other about what your expectations are from travelling, places you are dying to visit, activities you have always wanted to do and so on. Looking through guidebooks together and figuring out a way to make both your dream itineraries fit together is better than waiting till the day to tell them you wish you were doing something else instead! Sometimes you might find that the things you didn’t really fancy but went along with on their behalf might turn out to be amazing, and if you know you will get to do your thing the day after the chances are you will approach it much more willing and open minded! Learn each others strengths and combine them instead of resent them! One of the best things about travelling as a couple is that you can combine what you are good at and make a formidable team! For example…I am good at organisation and research, Shorty on the other hand is good at taking a step back and rationalising a situation where I might have charged right in! I look at things in a very complex way often driving myself crazy and get too passionate about something, he is chilled out and laid back…both balance one another out! If it were just me on my own, I would be racing around like a mad woman and probably getting myself into trouble…he would probably not make it off the couch let alone abroad!! Combined however I plan our mad adventures and he tells me when I need to step back and relax! Despite being so similar in our interests we are quite different in our personalities…apart from both being forever childish! Rome wasn’t built in a day and neither were strong and reciprocal relationships. Of course, you can’t put your dreams on hold for someone else but also remember not to give up on someone so easily. There was a time when we both wanted different things when it comes to travel, I wanted to travel long term and Shorty was happy with working and shorter trips. We had been together a long time at this stage and it was hard to feel like we wanted different things from life. I didn’t try to change him but at the same time I didn’t bottle up what I felt and wanted. We spoke often about what we wanted, I showed him possibilities he never knew were an option for us and eventually he grew to want the same things. I had travelled more than he had, read more blogs and spoken more openly about how I felt about “normality” whilst at university…something he never got to do. So don’t let someone go simply because they haven’t had that perspective…allow them that time and space just like you had, sometime we discover who we are at different times! Finally…don’t allow a relationship to stop you from making your dreams a reality – your soul mate is out there…but it is ok to be single! Relationships are great and travelling with your partner, lover and best friend all in one is a wonderful thing to experience! But beware! Don’t let love get in the way of your dreams…in the end if you sacrifice all you are for someone else and they can’t do the same you are doomed to fail, you will waste time on someone who isn’t right and only resent them! The right person for you is the person who lets you be yourself, who encourages you and shares the same dreams. Not someone who holds you back and makes you live a lie! Get out there and you never know, that person you were destined to be with might just be another solo traveller you cross paths with instead of that average Joe back home you settled for! Do you travel with your partner or do you wish you could? Or even…did you meet them on the road? What is your travel love story? 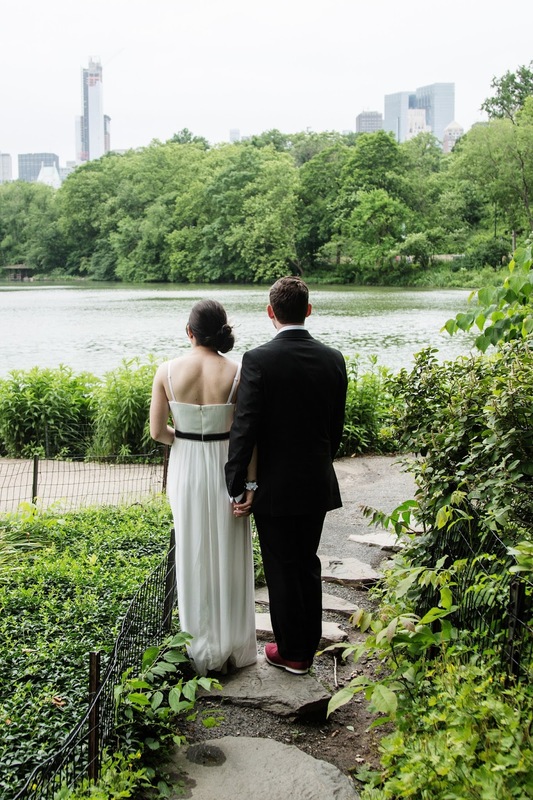 We got married in NYC! 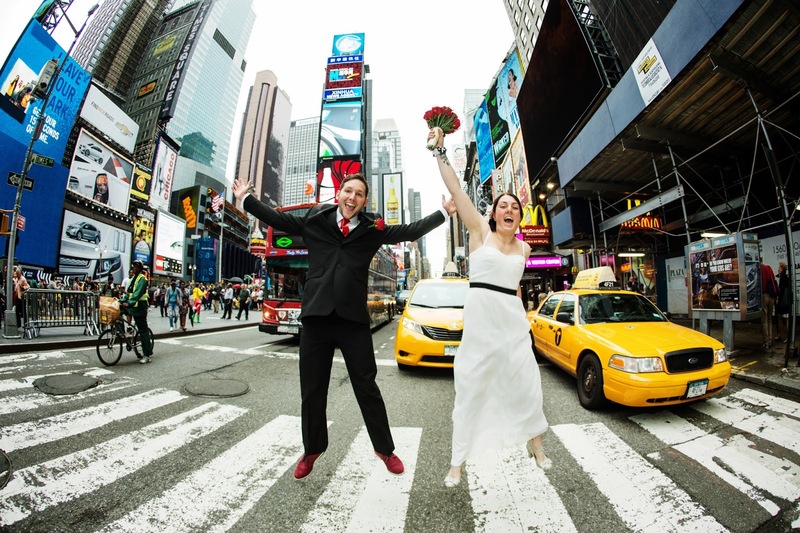 Bookmark this article How to travel as a couple…and survive and thrive! Kilmainham Gaol – The place the Irish Republic began! 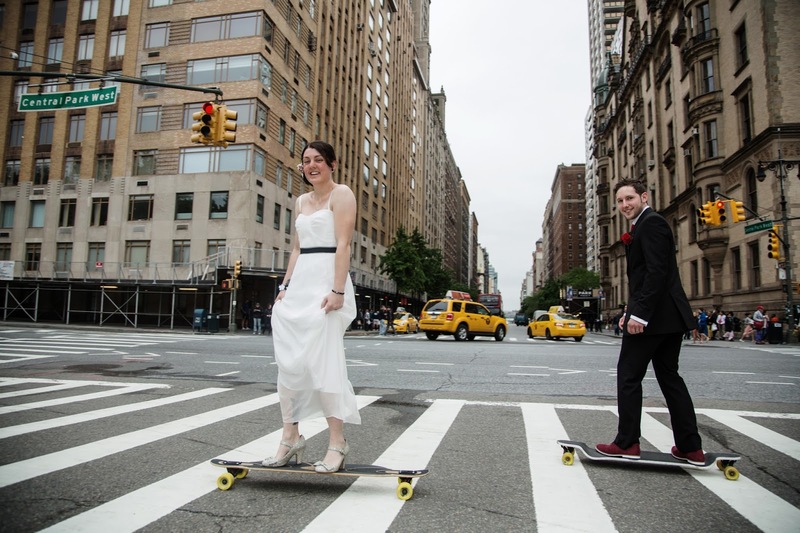 I LOVE your wedding pics from NYC!! 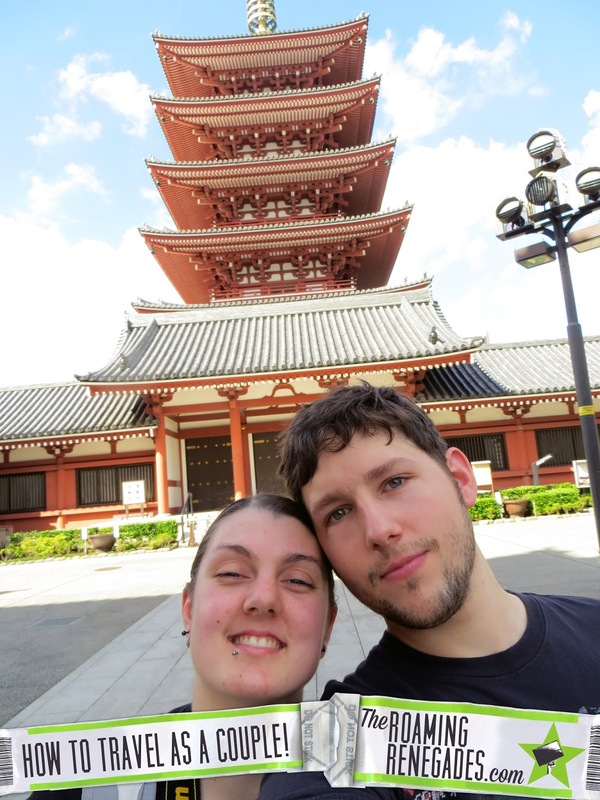 I met my partner whilst traveling and so knew we were on the same page right away – and 8 years and 30 countries later we’re still going strong!